RIDE IN THE CAB OF NKP Berkshire No. 765 WITH ENGINEER Rich Melvin for almost 40 miles through the New River Gorge, and he’ll tell you what’s going on every mile of the way! You’ll feel like you are the engineer of the 765 after you watch this video! Former Nickel Plate Road 2-8-4 “Berkshire” No. 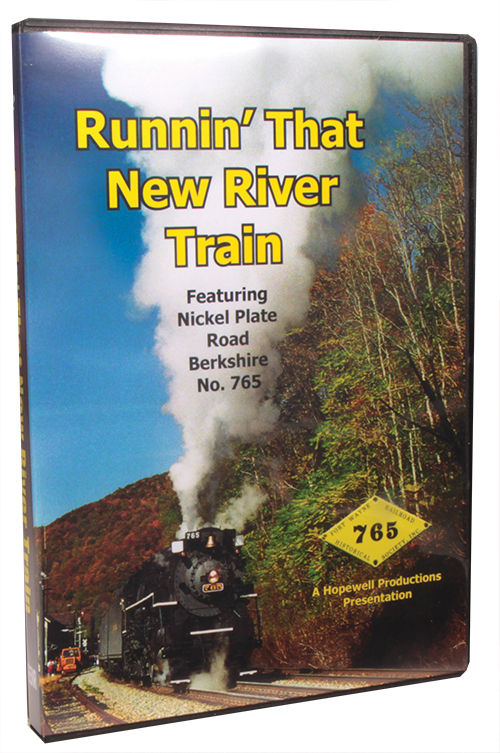 765 is the star of this show, as she pulls a 32 car passenger train through the fabulous New River Gorge. The hillsides are ablaze in glorious fall colors as the 765 pulls this big train from Huntington to Hinton, West Virginia. 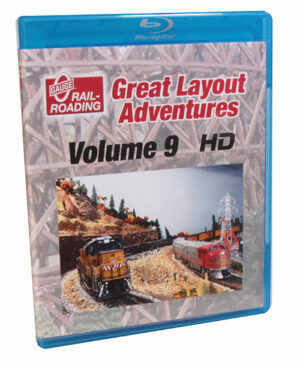 If you have ever wanted to see what REALLY goes on in the cab of a big steam locomotive, this video is for you!